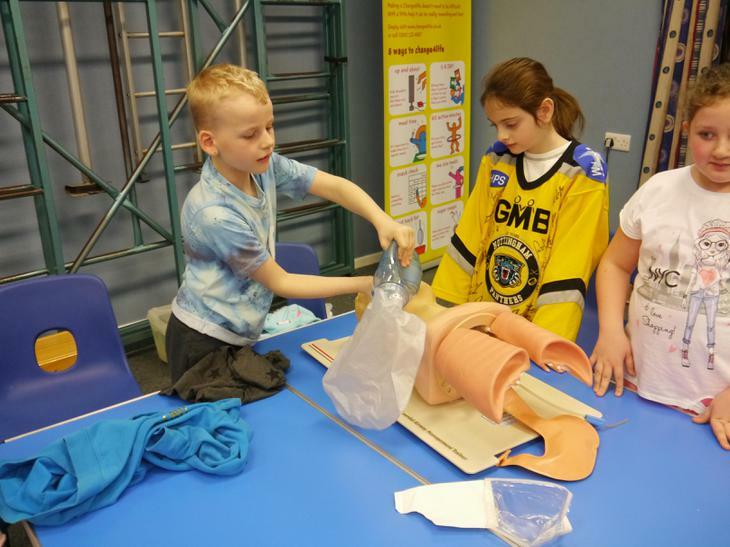 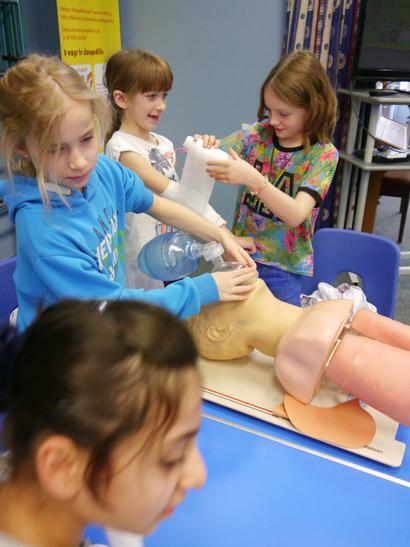 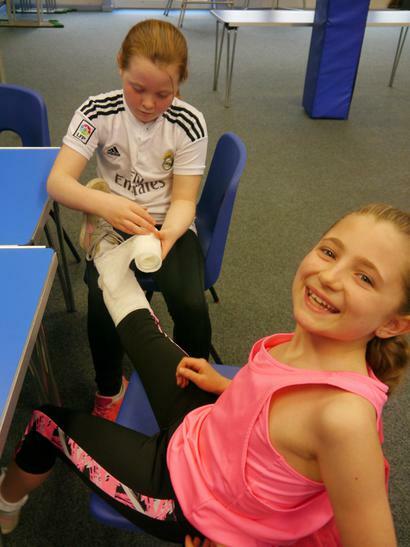 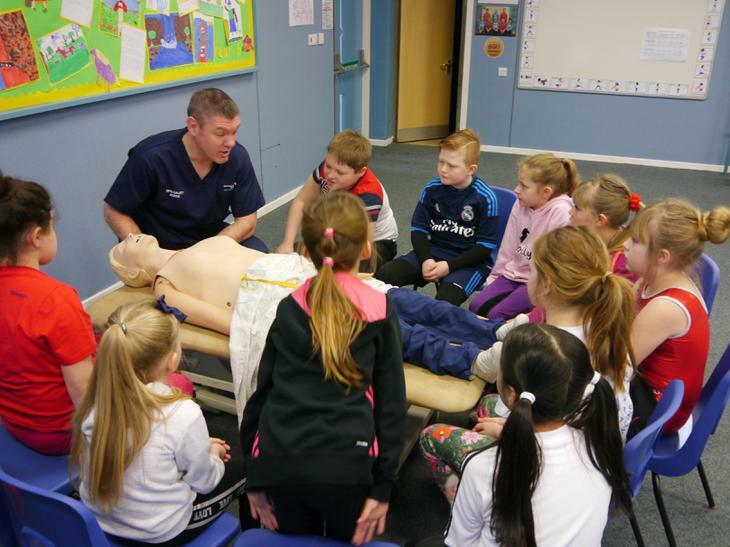 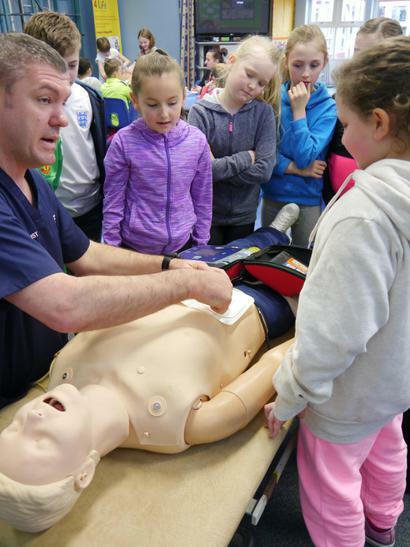 Children at Dalestorth got a flavour of life in a hospital and the work of nurses and doctors. 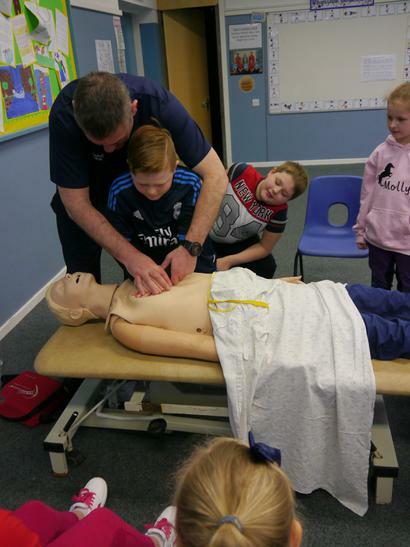 Thanks to Mr Robinson whose 'hands-on' approach to the workshops proved a big hit. 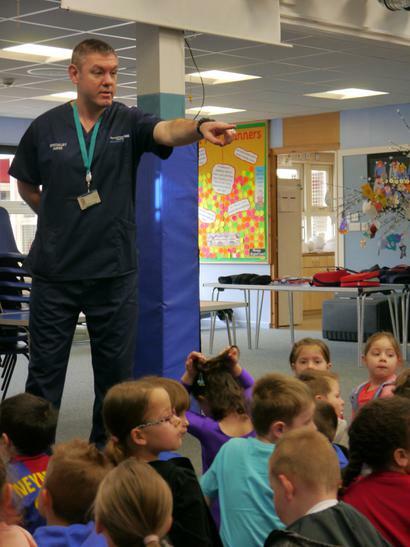 Mr Robinson discussed with all the children their own experiences when they had visited a hospital. 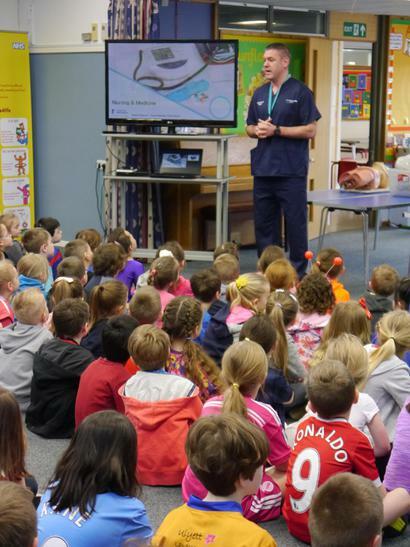 In addition, Mr Robinson explained why studying different subjects at school is important if you wish to work in hospitals.